As the cost of new homes continues to rise across the Nashville region, one Sumner County subdivision’s prices are heading in the opposite direction. Durham Farms in Hendersonville now offers villas with prices starting in the high $200,000s. The new design was introduced this summer by David Weekley Homes. The one-level villas are being built in pairs with attached garages between them, which maximizes privacy while reducing the size and cost of the building lot. “As median home prices in Nashville continue to rise, these new villas by David Weekley Homes offer an increasingly uncommon opportunity for people to buy a brand-new home for under $300,000,” said Suzanne Maddalon, vice president of marketing at Freehold Communities, the company developing Durham Farms. “This price point makes moving into Durham Farms more attainable for aspiring first-time home buyers. It’s also an appealing option for empty-nesters who may no longer need as much space as they once did,” she said. The villas range from 1,734 to 1,923 square feet and are on 40-foot home sites. They have three to five bedrooms and a variety of other options to personalize the space. Demand for the villas has been strong, said Craig Neal, lead sales consultant in Durham Farms for David Weekley Homes. Two were purchased as soon as sales began. The company will offer a total of 34 villas. “This is a product line that has been much anticipated in Durham Farms. We have had more demand for information on this than anything else to date and are expecting to sell out quickly,” said Neal. The company intentionally set the price at an attainable level. Meanwhile, prices continued to climb across the region. The average price in Sumner County for new and resale homes was $319,821. In May, the average price was $286,539, according to the Williamson County Association of Realtors, which tracks sales throughout the area. “Price point is a huge factor in the current market, so being able to deliver homes at this price, while still maintaining our construction techniques and energy efficiencies, has led to an overwhelming amount of interest,” said Neal. “By offering these paired villas, we are opening doors for a lot more people. One-story homes are in huge demand,” he said. The villas come with granite countertops in the kitchen and tile throughout the wet areas as well hardwood floors in much of the main living area. In addition, Weekley designs its homes with 6-inch exterior walls instead of walls that are 4 inches deep. The result is the ability to add 50 percent more insulation, said Neal. David Weekley Homes currently offers paired villas in Salt Lake City, Denver and Charleston. The company also offers single-family homes in Durham Farms. Drees Homes, Celebration Homes, Lennar and Crescent Homes also build in the community. Prices for single-family homes range from the mid-$300,000s to the $400,000s. Goodall Homes is launching construction of at least 60 townhomes in Durham Farms. Prices have not been announced but are expected to be lower than single-family houses. 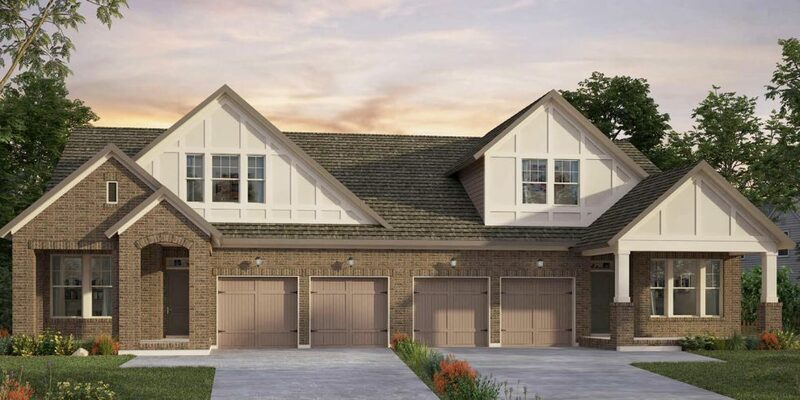 The townhomes will range from 1,674 to 1,976 square feet with three bedrooms and up to three full baths and one half-bath as well as a one-car garage. Bonus rooms and covered front porches are available. Durham Farms is a master-planned community similar to Westhaven in Franklin. Amenities include a state-of-the-art fitness facility, resort-style pool and splash pad, The Farmhouse Café, miles of walking trails, pocket parks and open spaces. The community has a professional lifestyle director. The HOA fee is $80 per month, which Maddalon said is lower than in many subdivisions. David Weekley Homes’ new villas are putting homeownership in reach of more people, she said. “These new villas, with their increasingly accessible price points, are a way to accommodate a more inclusive set of ever-evolving homeowner needs in the greater Nashville area,” said Maddalon.